Worralls have supported MTB Skills Clinics from day one. Our coaches will be seen using a lot of Worralls product range on the trails. From SRAM componentry, to Giro and Bell helmets to a wide range of other parts and accessories, these guys are great. Your local LBS can tap into Worralls anytime you need. NZO makes a fantastic range of MTB riding clothes, with some of the best and most durable shorts you'll ever get your legs into. NZO is also responsible for MSC's new coaches shirts, which are sharp and so comfortable. 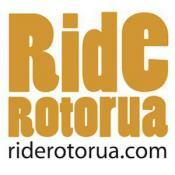 MTB Skills Clinics sponsors Ride Rotorua, and supports what it is doing to pull together a stack of information around MTB activity for the Rotorua region. A great source of detail if you're visiting this IMBA Gold Ride Centre. The MTB Trails Trust drove Nelson's successful IMBA Gold Ride Centre bid, and is involved with trail planning and development right across the Top of the South. A great source of detailed trail info for the region. Remember the Freditor? He started this mag off in the 90's and in its current version under editor Carl Patten, MTB Skills Clinics has been a part of its content since around 2004. We produce a regular skills article for NZMTBr which spreads the good word via print, and supports all the values of the mag.